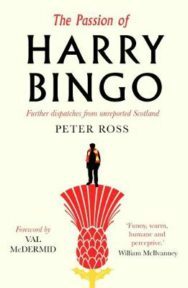 The Passion of Harry Bingo by journalist Peter Ross, recently published by Sandstone Press, puts Scotland’s diverse multitude of stories under the spotlight. Our monthly columnist David Robinson finds himself immersed in the interests, activities, and passions of people and places, and finds it an entertaining and essential read. Once upon a time, when Scottish newspapers made money, they covered stories they can’t afford to do now. Back then, the courts had their reporters and so did the council, the crime beat was covered, and there were experts in all the fields that mattered. And when news came bursting out of the blue, the way the biggest stories always do, there were enough reporters to cover that too, to be the equivalent of hurricane-chasers, tracking trauma and tragedy across Scotland in 100 wpm Pitman. His latest book, The Passion of Harry Bingo (Sandstone, £8.99) is just out. Like Daunderlust, it consists largely of features that have appeared elsewhere – in most cases, in the pages of Scotland on Sunday. And if you’re one of those people who believe that any such collection is bound to be nothing more than reheated cabbage, let me give you two reasons why it isn’t. First, the quality of Ross’s journalism: this isn’t cabbage. Secondly, just look at its sheer range. Where else can you find someone writing, with wit and insight and empathy, about a drag queens’ ball and the last night of Ramadan, about a man who tries to prevent people drowning in the Clyde and a former junkie in a residential rehab centre? 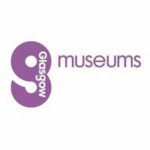 As it happens, all of those are Glasgow stories, so they should be relatively easier to find. But – serious question – where? Who else is writing them? The big news stories will always reach us, and they’ll reach us quicker than ever now that everyone has a smartphone, so we’ll always hear about the police helicopter crashing onto the Clutha Vaults or about the trial of serial killer Peter Tobin. But when the band Esperenza, who were playing on the night that the helicopter crashed onto the pub roof, play a gig in East Kilbride dedicated to the memory of a fan who was killed that night, who will follow the band both there and at their first gig after the tragedy and find out how they and their fans are coping? When the women at St Patrick’s, Anderston, get the church ready for its reopening a year after the body of Tobin’s last victim, Angelica Kluk, was found beneath its floorboards, isn’t it right that there’s should be someone there, taking time to record how a community prepares to start again, to believe once more in the possibility of goodness? Both those stories appear in Ross’s new collection. Like most of the rest in it, they serve to highlight just how much will be lost if Scotland ever becomes denuded of what little long-form journalism it already has. News stories give us the basics of a story, but their often clunky attempts at objectivity in covering the who, what, why when and how of a story invariably fall short when it comes to explaining what life felt like for the people who were caught up in it. For that, you need someone who can write a story so well that it stitches itself into the readers’ imagination. Someone, in short, like Peter Ross. 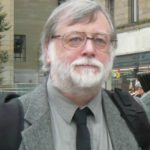 In 2015, for example, he wrote a long feature for the Guardian about the tragedy ten years previously in which five members of the MacPherson family were drowned as they drove across the causeway between South Uist and Benbecula. He tells the story straight, sensitively and well. It ends with him mentioning how the man now living in the house the family evacuated as the storm approached, was digging in its garden recently when he came across a toy car, buried about a foot down in the topsoil. It used to belong to the young boy killed in the storm. The man’s own young son asked him where the toy had come from. He didn’t know what to say. That detail, some might think, doesn’t add anything to a story about unbearable loss. To me it does: it fleshes out what ‘unbearable’ means. It makes me think. It stops the story being something I can ignore, background news I can mentally shut out. What makes the difference is empathy. Without empathy, Ross probably wouldn’t have got that line about the boy’s toy buried in the soil shifted by the storm that killed him. But the point about empathy is that it shouldn’t only be there for tragedy. It should be there for joy and celebration – both of which figure even more prominently in this collection – too. Empathy isn’t, Ross admits in the introduction, the first quality that leaps to most people’s minds when they think of journalists. But without it, the stories in The Passion of Harry Bingo could never have been written, not least the title story about a nonagenarian Partick Thistle supporter which opens out into a far wider-ranging study of football fandom in the lower divisions. Empathy also permeates his story about spending a night in Midlothian with the Naked Rambler (fully-clothed, both of them), or about the ostentatiously-decorated Christmas Houses of Port Glasgow. If you think the former is wildly irrational, and the latter just plain naff, prepare to have your mind changed. In the foreword, Val McDermid points out that Ross’s book is ‘a route map to the strange, bizarre and the wonderful that exists out there on the edges of the everyday’. So it is, but there’s something else about it too. Whether he is following the Burryman on his increasingly drunken stagger round South Queensferry covered with prickly burrs, looking at the daredevil riders on Britain’s the last Wall of Death, or mixing with the fanciers gathered for the National Poultry Show at Lanark Agricultural Centre, there is an emotional generosity to Ross’s journalism. When he meets even the most obsessional hobbyists, he’s not there to mock. Journalism missed a trick in the Nineties, I’ve always thought, when it hared off in pursuit of celebrity rather than looking at the sheer extraordinariness of ordinary life. Ross is no slouch at the celebrity interview (his website is studded with gems: check out the one with Robbie Coltrane). But few writers are as good at holding a mirror up to life in today’s Scotland. And in a world in which newspapers matter less and less, we need people like him more than ever. The Passion of Harry Bingo by Peter Ross is out now published by Sandstone Press priced £8.99. For ScotBookFlood, as my wife Joyce is Irish, a big Bernard MacLaverty fan, as we’ve been married for decades and have actually been on a (non-disruptive) midwinter break to Amsterdam, I can’t see past his novel Midwinter Break. My neighbour Brian likes Alistair Moffat’s books almost as much as he does hiking in Scotland, so he’s getting The Hidden Ways: Scotland’s Forgotten Roads by Alistair Moffat, the ‘ways’ in question being ten wildly different (and sometimes wildly overgrown) paths that open up Scotland’s often hidden history.